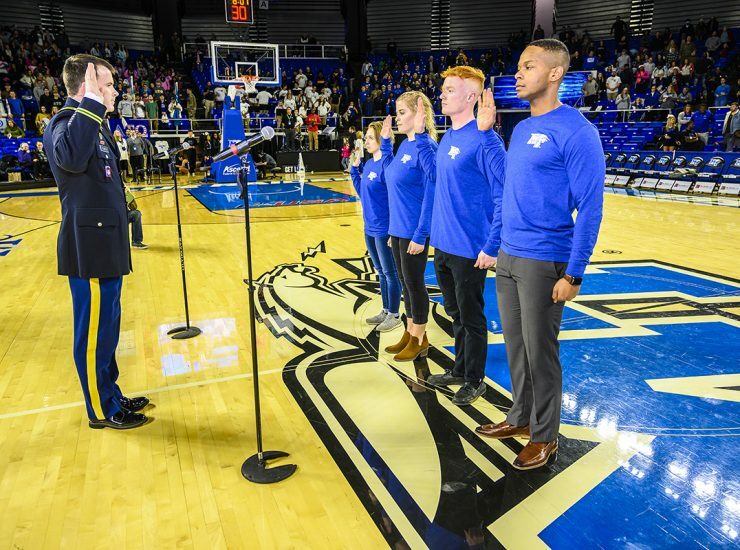 The MTSU-UAB men’s basketball game Wednesday, Jan. 30, in Murphy Center marked the first Blue Raider Veterans and Military Appreciation Night. 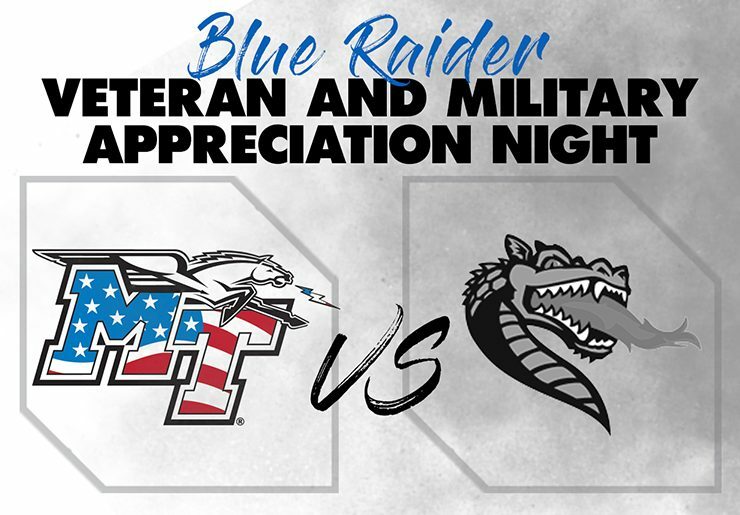 Veterans and active-duty personnel..
Middle Tennessee men’s basketball wraps up its first month of conference play at home Wednesday, Jan. 30, against UAB and will host its first Blue Raider..
Let’s face it: you probably only watch the Super Bowl for the highly-anticipated commercials and delicious finger foods. There is no shame in admitting it;.. 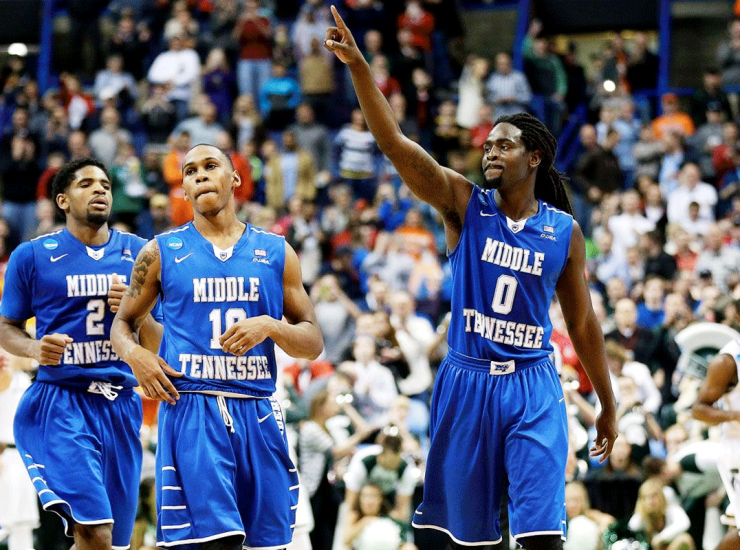 Need new pictures for Instagram, Snapchat, Facebook or any other social media outlet? And you don’t know where to take your pictures? 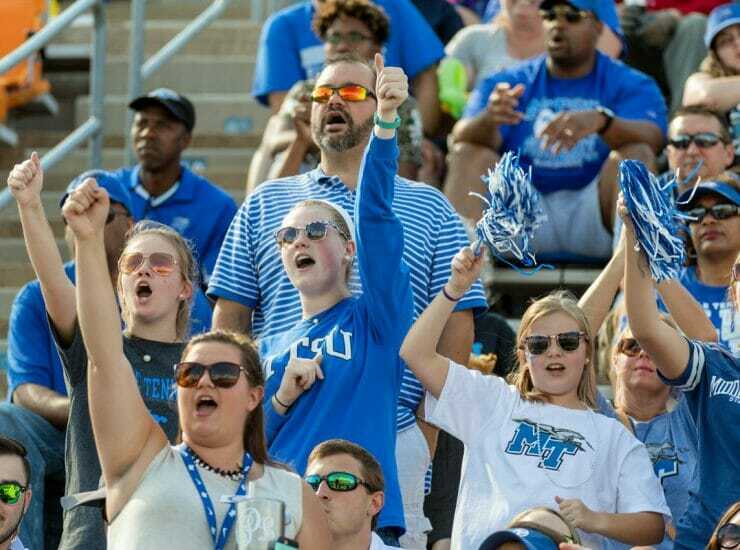 Well, MTSU has..
Logan Kilgore’s NFL hopes rest on his arm and on his head by Drew Ruble Sports Illustrated writer John Lopez introduced a formula in.. 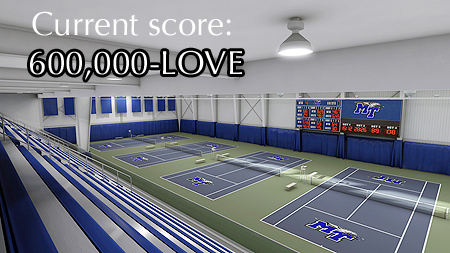 Counting the many upsides of MTSU’s recent leap to C-USA By Drew Ruble..
Producer/Host: Gina Logue Guest: Jason Spray Synopsis: The head strength and conditioning coach for football (and for men’s basketball at the time of this interview)..
Blue Raider Director of Athletics Chris Massaro has announced the official start of a campaign to provide an indoor tennis facility for MTSU to be..